The Education Secretary's 'bold move' of calling for schools to run longer days and shorter holidays earned a decent haul of front pages this morning. 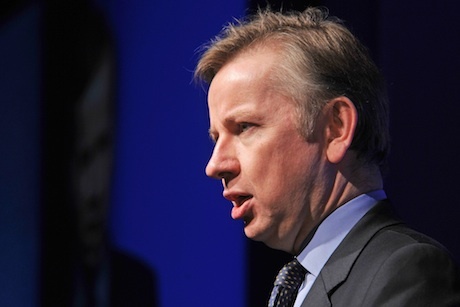 Michael Gove presented his argument to amend rules set by the Teachers' Review Body that limit schools’ ability to change their timetable. Speaking at a conference yesterday, he criticised the status quo as ‘a significant handicap in the global race’ compared with systems in countries like Singapore and China. ‘We can’t afford to have a system that was essentially set in the 19th century,’ he said. In response the PR team for the National Union of Teachers issued media with a statement from general secretary Christine Blower opposing the plans. The Times, Telegraph, Daily Mirror and Guardian all placed the story on their front page, and the BBC’s story provoked a lengthy discussion on Mumsnet including 363 messages between 5pm yesterday and 9am today. Hanover founder Charles Lewington highlighted the right-wing press’ positive response to the comments. In contrast the Mirror headlined the story as ‘The Holiday Snatcher’, adding an NUT claim that the plans were part of a ‘secret agenda’ to privatise state education. The Department for Education press office was unable for comment on the way it presented the plans at the time of publication.